I made the biggest mistake ever to trust vBulletin. I was using VB 4 with minor issues but having faith in the company, I upgraded to VB 5. It’s been down the road since then. 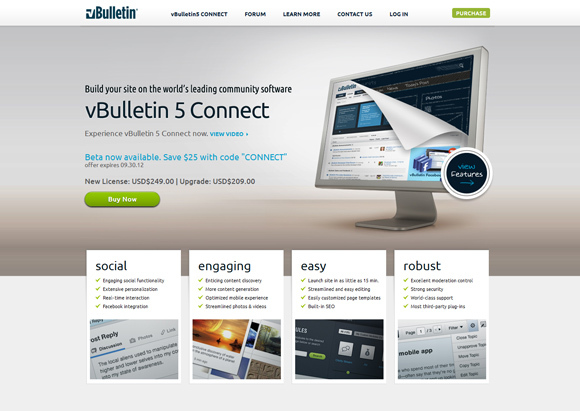 Been a big fan of VBulletin since 2004, but really disappointed with the latest VB 5. I have upgraded to all latest versions of the software (VB5) and all are having some error or the other. So many issues, it’s baffling. If you can’t make a trouble free software, why launch it in the first place? In-line image addition does not work. User gets pop up when posting a reply -“You did not answer the question correctly”. Upload more than 3 images, they won’t show in the post. Start a new thread and the title changes to the title of the last picture uploaded. Open (not start but open in a browser) multiple posts and some posts won’t have the comment box below. So thanks to VB5, I have spent so much time, energy and money on it. Needless to say, my web designer has given up after having spend hours (for which I had to pay). I will make sure others don’t face this issue but telling them not to buy VB 5, at least not till the issues are resolved.